RV Special: 2017 RV Models MUST GO! We’ve discounted our 2017 models as low as we can go! We’re ready to move them and bring in our new RVs for sale, so if you’ve been waiting for JUST the right price, check out our clearance 2017 RV models! As fall is fast approaching, it’s the perfect time to get out there and camp! Imagine the colorful scenery, the cool breeze, and of course, sweatshirts and jeans! There’s nothing like spending a cool evening by the fire pit with your family and friends. Autumn is one of the best times for RVing! The Gulf Stream RV Crescendo Motorhome is a triple slide recreational vehicle with new slide toppers and new awning fabric. It comes with a rear queen bed slide out and a full end wall wardrobe, perfect storage for all of your clothes! It also provides a 19″ LCD TV that you can enjoy on rainy days and chilly evenings. For storage, it comes with above drawers, a linen cabinet, and a second pantry (and a few other cabinets as well!) You won’t need to worry about lack of storage in this motorhome. 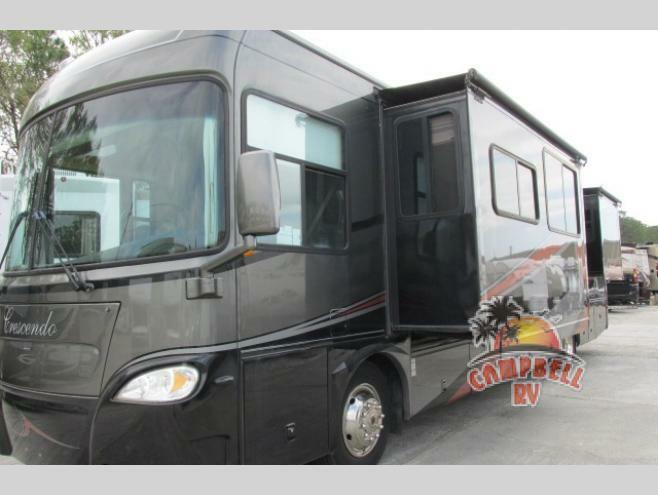 In addition to this motorhome, there are a few other motorhomes that are in GREAT condition, and we’ve got GREAT deals for them, as well (such as the Prevost Motorhome as shown above). With such amazing sales as we’re offering for these RVs, you won’t want to miss out on the experience of a lifetime. Camping has always been a huge part of our lives at Campbell, and we want to give you the best experiences as well. What better to way to camp then in a beautiful, discounted(!) RV? If you have any questions concerning this RV special, please contact us. As always, we love connecting with our customers! 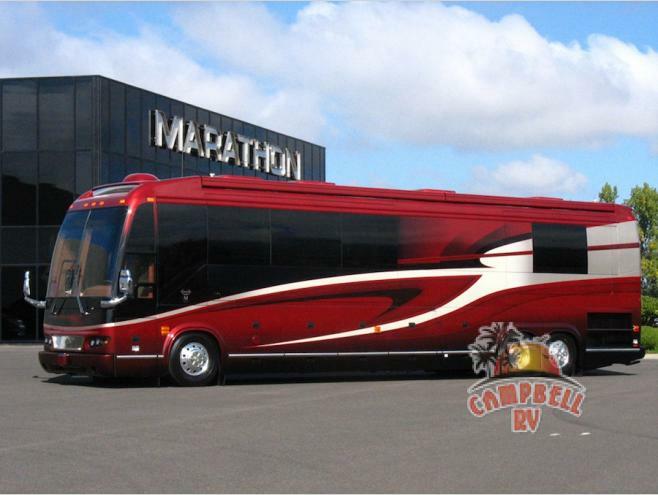 If you’re still searching for the perfect RV for you, check out our new RVs for sale, as well. We want to make sure that you get the best deal for the recreational vehicle of your dreams!